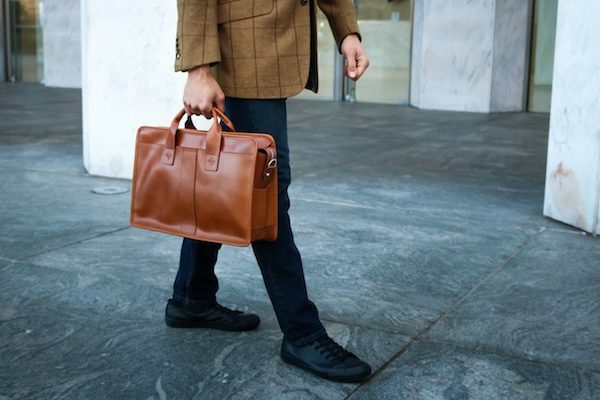 Step up your everyday carry with the Vernon Leather Briefcase by Solomon Chancellor. Complete with top quality leather, this bag is an instant staple. The Vernon features a sturdy structure to keep your devices and accessories organized. In addition to your documents, it has enough space in the internal laptop divider to hold a 15-inch device. The Vernon Briefcase also includes the signature purple Swiss RiRi two-way extended zipper.